Everyone’s favourite bakehouse, Glen’s, has just opened their third store in Whitefield and it’s super pretty. IT folks rejoice! We just visited the newest Glen’s Bakehouse in Whitefield and loved it. 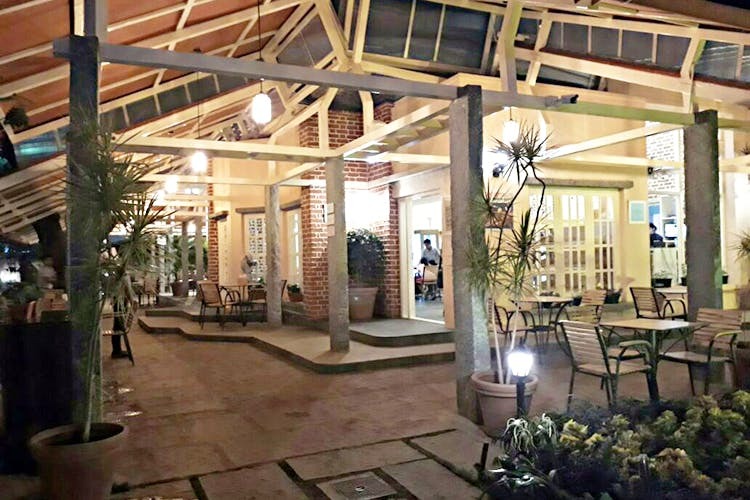 In typical Glen’s fashion, they have outdoor and indoor seating but you’ll surely underestimate just how much. There’s a lawn out in the front as well as behind the main restaurant with gorgeous yellow lighting and all the Parisian cafe vibes. You’ll get all your usual favourites here like the yummy Red Velvet Cake, Caramel Cheesecake, and the loaded doughnuts. Got a big gang? Head here after work.